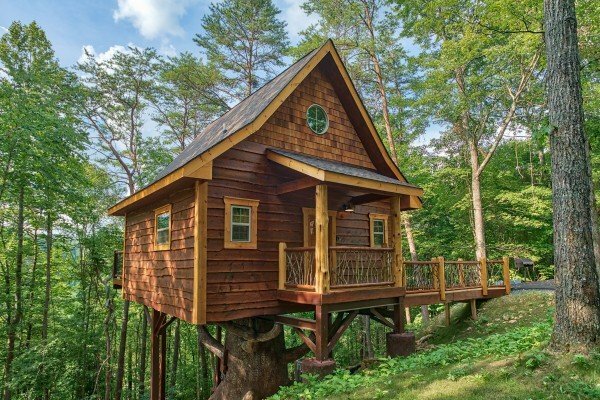 Feel like a kid again! 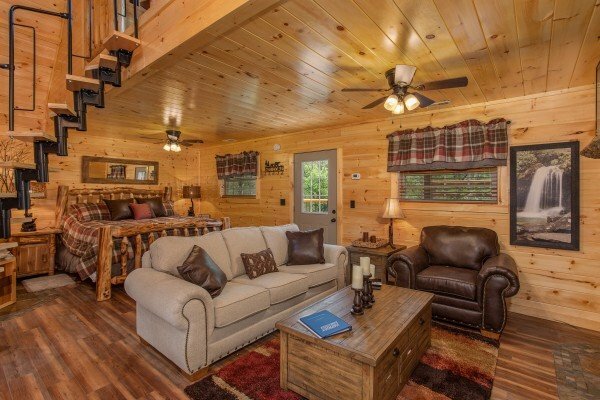 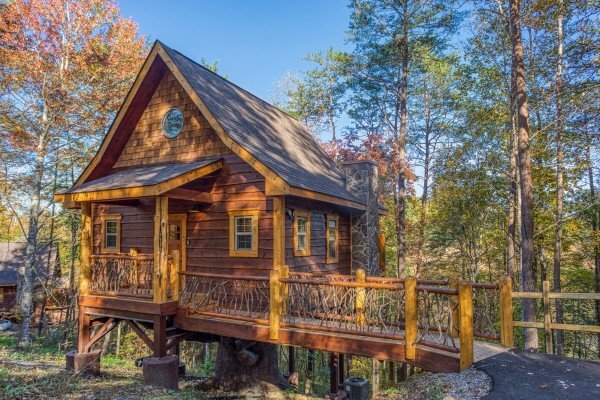 SMOKY MOUNTAIN TREEHOUSE is the Smokies' most exciting vacation rental cabin. 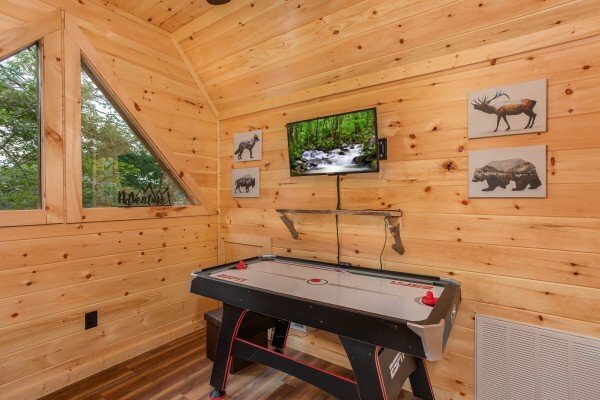 It's perfect for making guests feel young at heart! 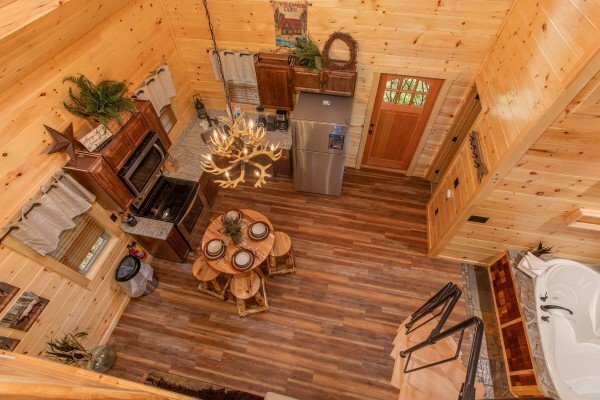 This is no ordinary backyard clubhouse. 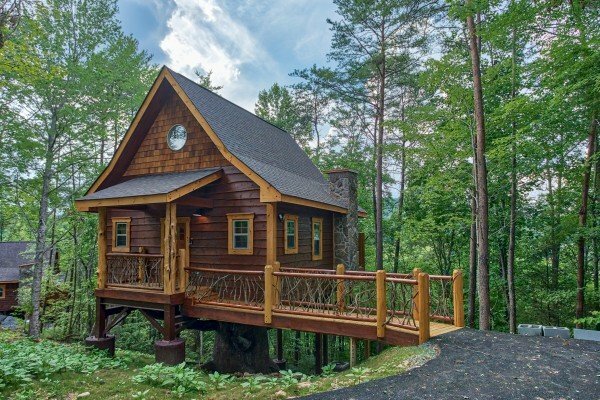 This is the treehouse of your dreams! 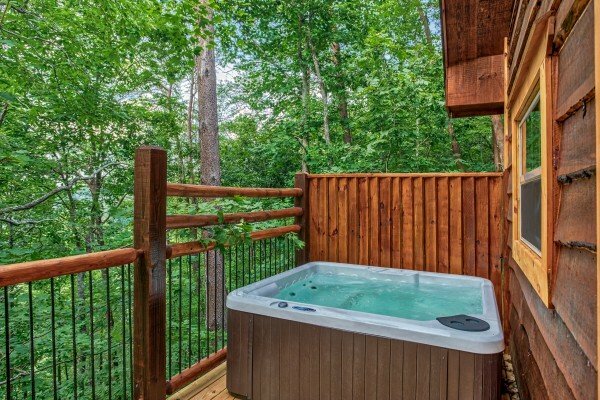 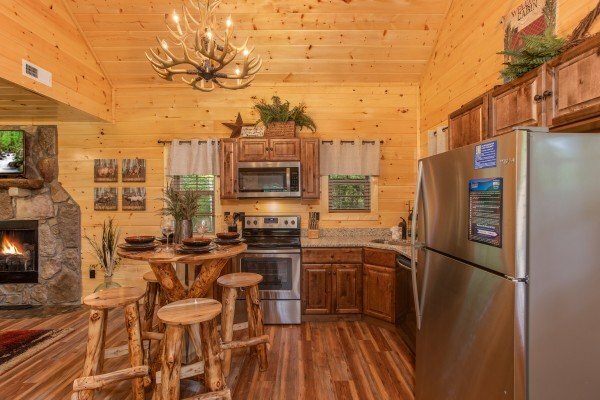 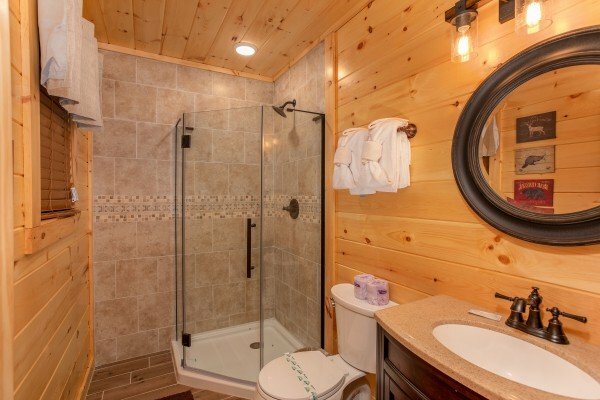 SMOKY MOUNTAIN TREEHOUSE includes every luxury amenity to make your mountain vacation a huge success! 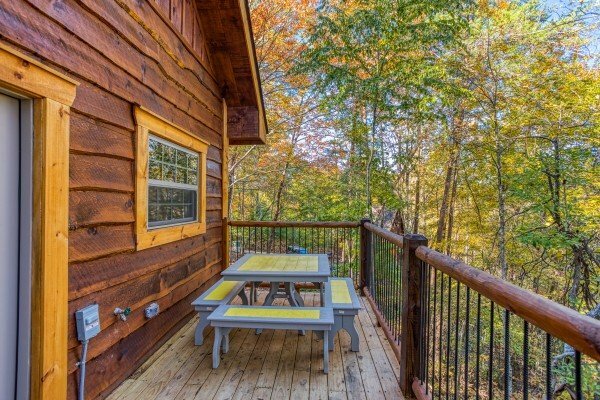 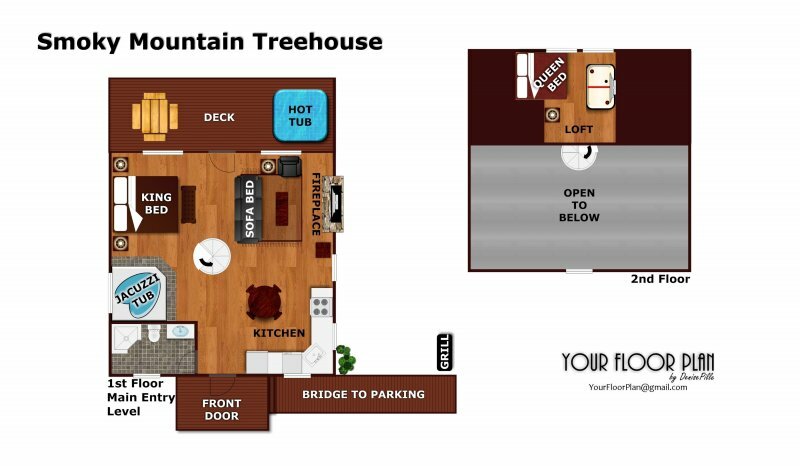 Located half way between Gatlinburg & Pigeon Forge the treehouse is convenient to all the shopping, dining, shows, and attractions in town. 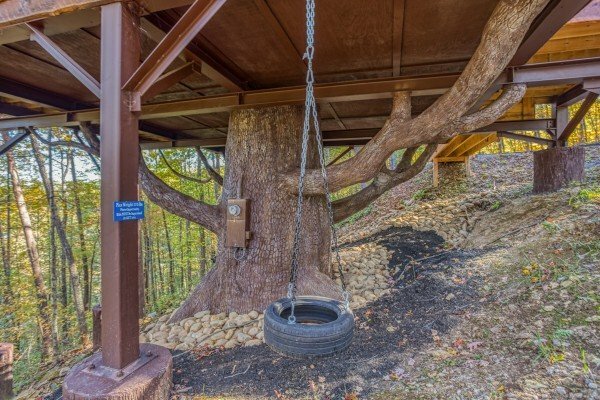 Accessed without any steep mountain roads, this unique property is nestled on a wooded 1.5 acre lot with paved, level parking. 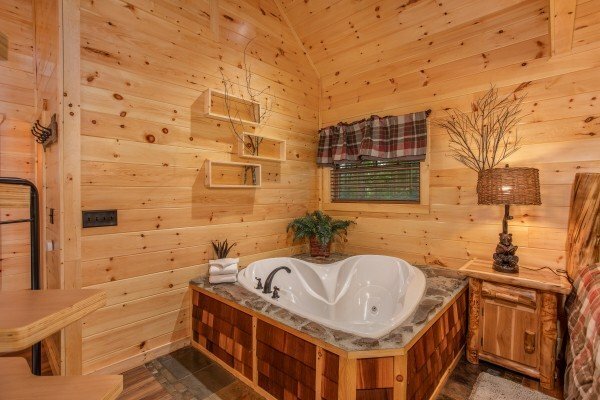 A heart-shaped tub for 2, King Log bed, private outdoor hot tub, and stone / gas fireplace make SMT the ultimate romance cabin. 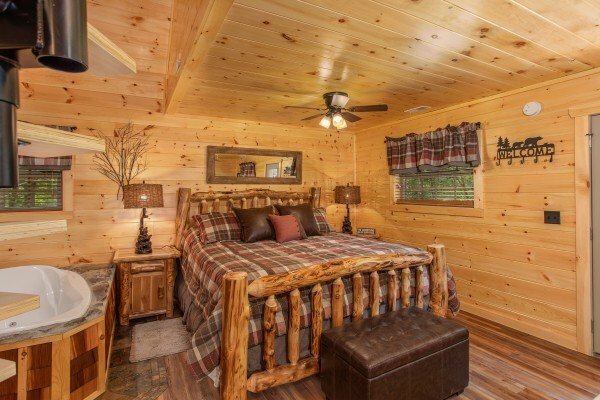 While a lofted queen bed, and queen sleeper sofa make the cabin family friendly too. 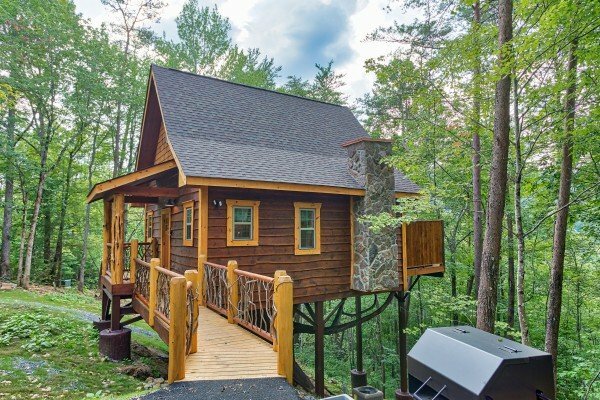 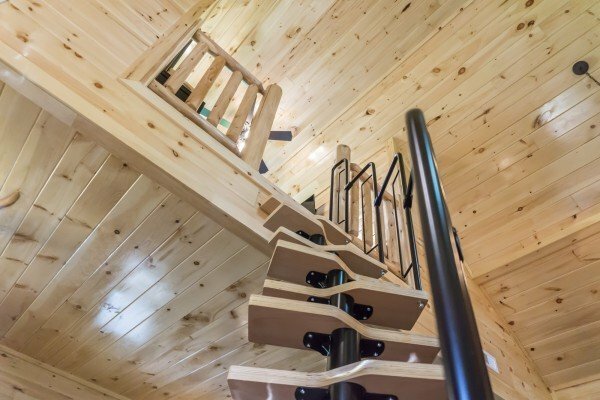 SMOKY MOUNTAIN TREEHOUSE will make you feel like a kid again! 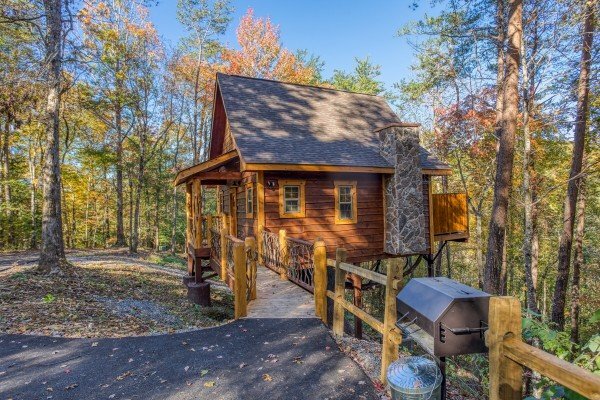 Call today and reserve your getaways in SMOKY MOUNTAIN TREEHOUSE! 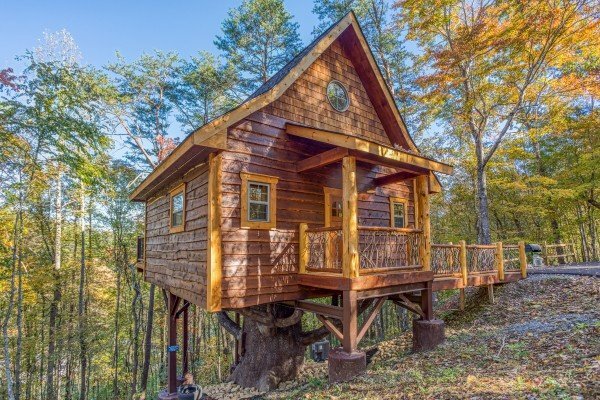 Just realized we never actually checked out, sorry. 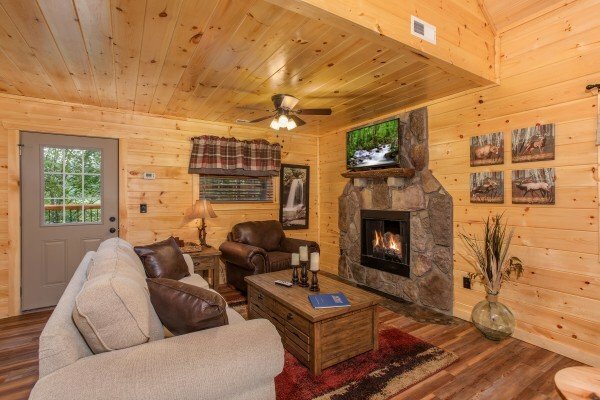 Our stay was wonderful and we couldnt be happier. 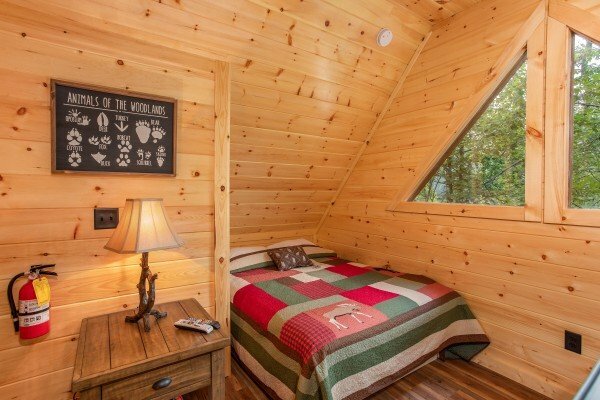 LOVE this cabin, comfortable and cozy. 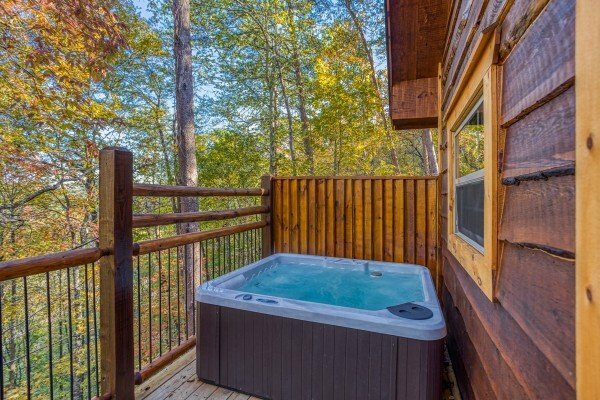 Perfect for two people. 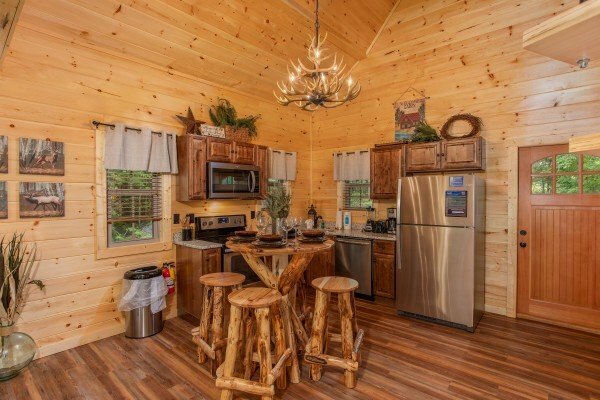 My husband and I will be booking this cabin again.